Suggested by Adrogoz Arm-Fall-Off Boy returns once more, but I’m afraid that he won’t do any better this time around. Segata has way better hand to hand skills up his sleeve and is just a professional. This kid never really learned how to fight and simply being able to detach arms to fight won’t really help much to change that. 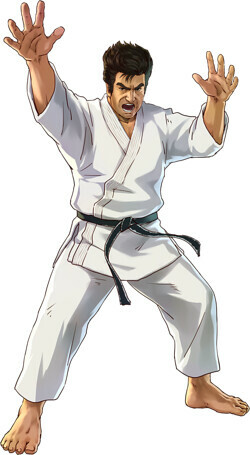 Segata Sanshiro wins. This entry was posted in Arm-Fall-Off Boy Battles, Battles, Segata Sanshiro Battles and tagged Arm-Fall-Off Boy, Segata Sanshiro by dreager1. Bookmark the permalink.